This film kicks off with a potato railway - specifically, the Nocton Estate Light Railway. Little narrow gauge lines like this proliferate when rural roads were hopeless for the lorries of the day. 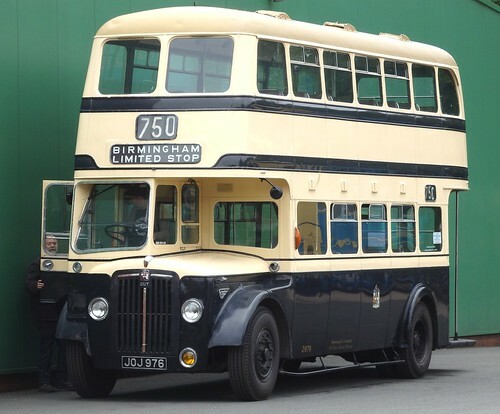 Sadly, both roads and lorries improved and the railway closed in 1960. After this we head off to a gentleman's grand house complete with 3-rail model railway. I can't work out if it's O or 1 gauge. The Meccano Ferris wheel in the background is quite nice though. Having seen the Rapido/Locomotion Stirling Single at all the phases in its development, when the chance came to have a quick play with one, I couldn't resist. I've borrowed the BRM review sample and put it on my ancient H&M Rolling road. Since the loco is fitted with one of those new-fangled DCC chip things, I used my MERG DCC controller to bring it life. 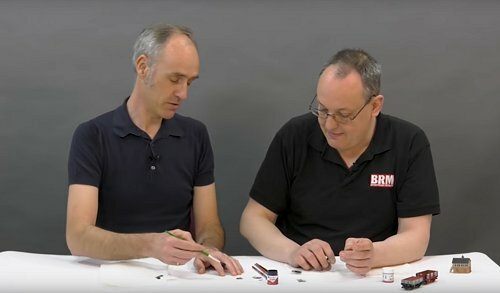 I'm not going to spoil things by reviewing the model, you can check out the July issue of BRM for that, but you can enjoy the video - turn those speakers up to 11! One highlight of the package is the instruction manual. Written in the usual Rapido humorous style, it's worth going through just for entertainment, that you learn how not to break the model is an added bonus. The po-faced might not be happy, but making a normally dull document entertaining has the advantage that people will read the thing and perhaps even take the advice contained within. Clever move. One of the benefits of not driving everywhere is that you have to explore places to find bus stops. After visiting Credit Valley Railway, I went in search of transport and tripped over another model shop - Great Hobbies. If Credit Valley is heaven for toy train buffs, Great Hobbies covers everything else. The sizable (for the UK, average for Canada) store is stuffed with RC vehicles, plastic kits, boats and loads of materials. I wandered the aisles for the best part of an hour, constantly doing currency calculations in my head followed by "how much space do I have in my bag and how close am I to the weight limit". Tiny and cheap, it now sits looking at me from the Canada section of my display cabinet. In fact, until I can reorganise the display cabinet, it is the Canada section. As it turns out, I was right about the space and not far off the mark on the weight for my bag, but I'll admit the pound vs dollar rate did make a lot of the plastic kits look like bargains. More importantly, the staff were very friendly and I feel guilty I spent less than 5 dollars. Anyway, if you are a model maker, head over to Mississauga. Two fantastic shops within walking or driving distance. 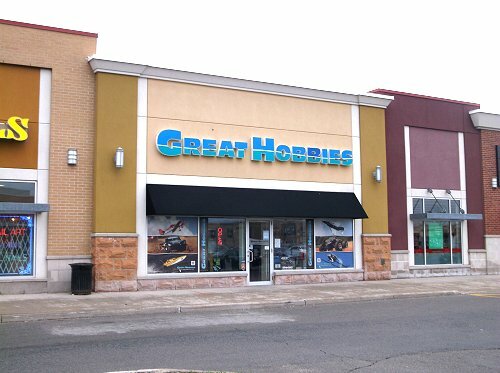 Visit the Great Hobbies website. The work taking place to gentrify the King's Cross area have revealed, or at least made easier to photograph, this lovely ghost sign near the station previously obscured by some wooden shops. I've no idea how old these letters are, but 3/4 of a century would seem a reasonable guess. We forget just how much advertising there was around in "the good old days". Paint something like this on the front of your listed building now and watch the local busybodies get upset! My plan with the front of Harpers Yard is to use Slaters embossed Plastikard bricks rather than the brick paper used on PetitieProperties stand. I think this will blend with the other buildings I'm likely to use better. Fixing the plastic with Deluxe Materials Speed Bond, I wanted to let the glue dry under some weights. These lumps of steel are offcuts bought from a model engineering show for 50p each and have proved invaluable for all sorts of jobs. They are a perfect fit for this building! 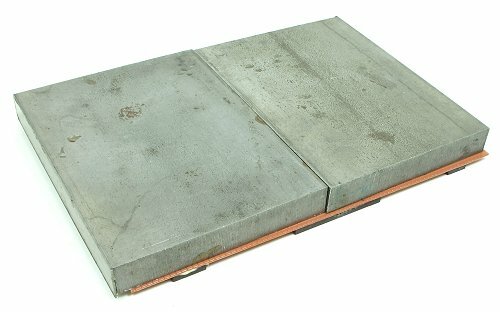 Basic items like the steel lumps are cheap and useful, but not "proper" tools in many modellers eyes. They are wrong. 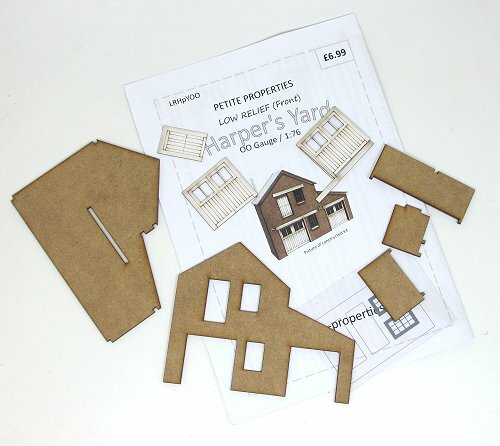 I've long been a fan of the Petite Properties range - I like the idea of basic but well-designed buildings that you can assemble but have to sort out your own surface texture for. A recent addition to the range is Harpers Yard, a low-relief industrial structure. I've looked at it many times on the stand but resisted buying until I had a use for it. The photobox has me thinking about a tiny industrial model and that's enough to persuade me to hand over some cash. 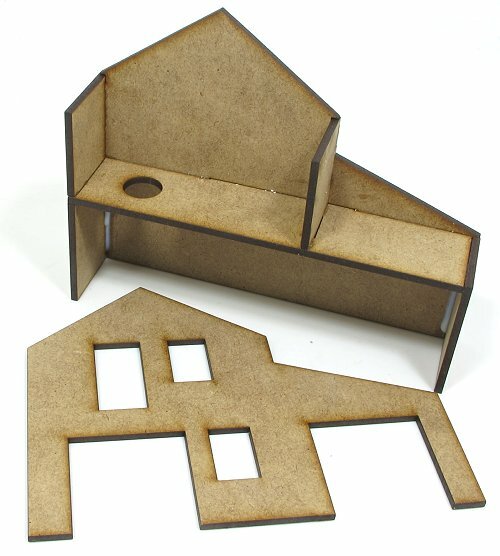 Anyway, the parts are laser-cut MDF with card detailing. Construction starts with the main MDF parts being fixed together to form the back of the building, leaving the front free for the moment. I'll work on that next. 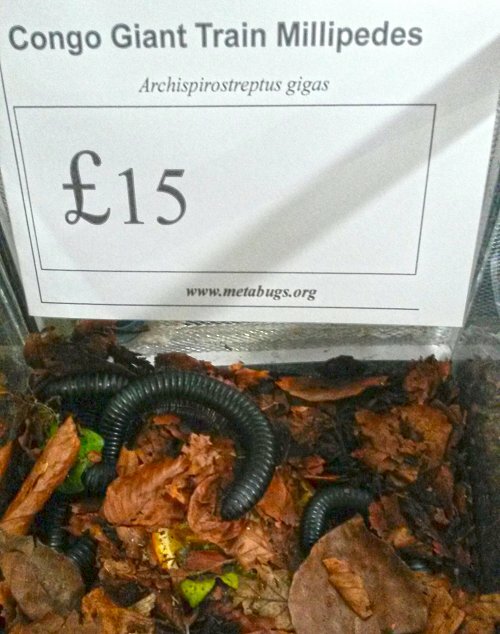 The British Tarantula Show might not seem the obvious place to go to find modelling tools. To be honest, that wasn't what I was expecting when I went along. In fact, I didn't know what to expect at all, but it was 10 minutes drive and only a fiver to go in - and I was curious. 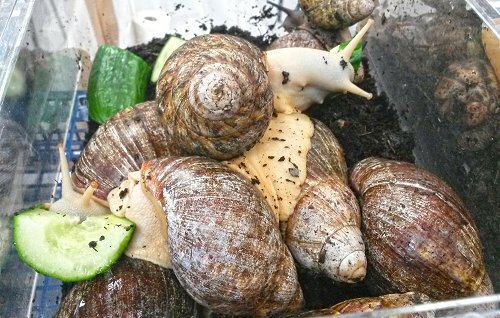 African snails are quite a size too. I don't get these, I mean you can't cuddle them, can you? All you have a is a huge mollusc leaving slime everywhere. Fun for a few minutes, but after that, you've still got to feed it. Anyway, after a fascinating chat with a stallholder about the virtues of whistling cockroaches, I found a tool stall. A few quid later, I'd re-stocked my pipette supply, bought some metal tweezers and a new spritzing bottle for ballast. 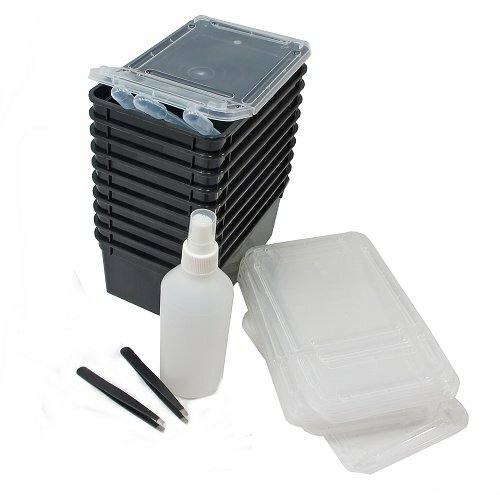 That and some useful plastic tubs with hinged lids on top. Perfect for ballast and scenic materials as you don't need to open them fully to get a bit out. Far safer if they get knocked over! One for industrial equipment fans this week - an American film from 1926 showing Caterpillar tractors being put to work. Railway fans will be impressed by the way the Cat can act as a shunter. I'm not sure this would be as easy to do as it looks, you'll need to be a reasonably accurate driver without rail wheels to guide you. 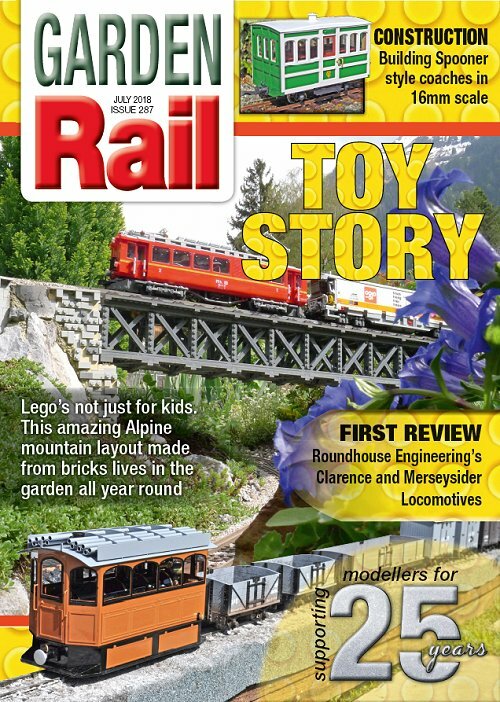 Something different in Garden Rail July - Lego! I've taken a bit of a risk with the latest issue of Garden Rail - months ago I spotted an amazing layout on Facebook and knew I wanted it on the page. The thing is, as you can see, the layout is made from Lego. 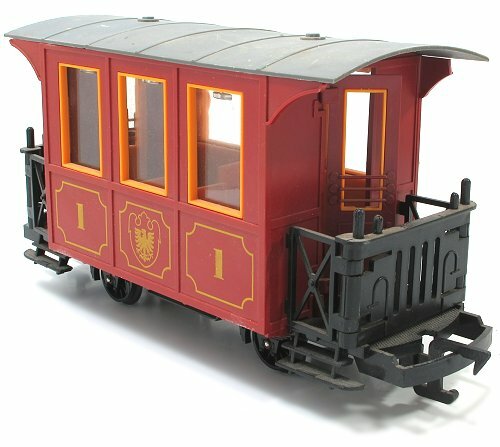 Now, this is a bit unusual, but the modelling quality is very high, the layout lives outside all year round in Switzerland and there's a couple of useful techniques employed that other modellers could find useful. It also just looks fantastic. I didn't have any captions for the photos, but friends who are interested in foreign railways quickly identified the prototypes, they are that good. I think I've pulled it off, from the 16mm scale publicity officer, "that Lego railway you really have to look at closely to see that it’s built of bricks!" We've some more serious content too of course. 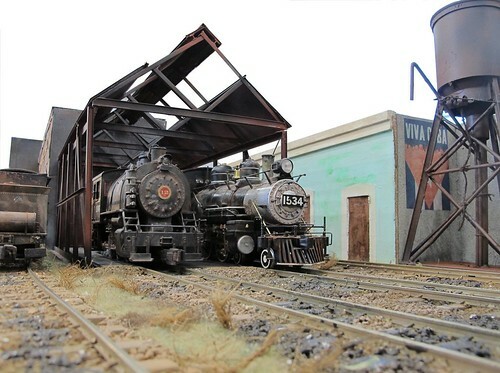 Working wagons, coach building, layout extending and reviews of two Roundhouse locomotives. 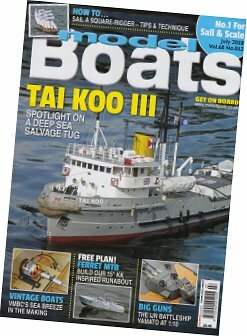 It's another full issue! Garden Rail 287 - July 2018. This month, special promotional packs containing BRM and the June issue of Garden Rail will be available in some supermarkets, and digital readers will get this too. As part of the promotion, I've written about building garden railways on a budget. The truth is that large-scale doesn't have to be expensive, and in many cases, can look better value than the small stuff. In 3 pages, I can't go into great detail, but have done my best to provide pointers to get anyone who fancies railway building outside started. We've reached the final chapter of the Canada story with my trip to the show and the travails of travelling with a model railway, especially when Air Canada manage to damage it (they did say they should have been given the chance to repair the damage, but I didn't have time for that before the show). Digi readers get some extra prototype photos as a bonus too if they fancy photos of foreign trains. While abroad and in the Rapido offices, I interviewed the team to get an idea how you go about producing a high-quality RTR model. They were very happy to explain the challenges involved - it's not a case of 3D scanning something, sending the data to China and waiting for a box of finished models to arrive! Getting practical on the DVD, I'm teaching our editor, Andy McVittie, how to weather wagons using dry-brushing. It's a very valuable technique but difficult to teach in writing. Being able to use video makes a big difference. OK, this isn't a warehouse, or even a building, but this sight intrigued and I suspect some blog reader can probably enlighten me as to what is going on. 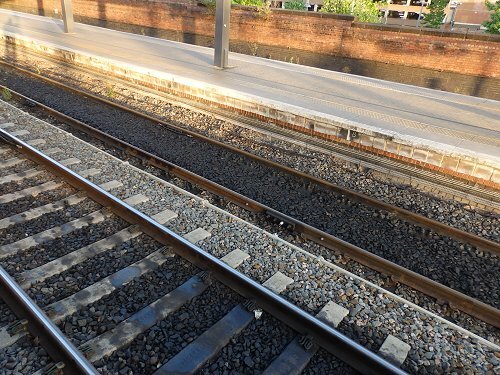 Between the tracks for platforms 1 and 2 at Reading station, there is a marked difference in the track levels. Platform 2 is very slightly higher. To accommodate this, a small concrete fence made of posts and panels retains the ballast. I've not seen this before and don't understand why it's set up like this. The height difference is very small, smaller than many steps down from a train. Both platforms are in use. Platform 1 does appear to have wooden sleepers and 2 concrete. 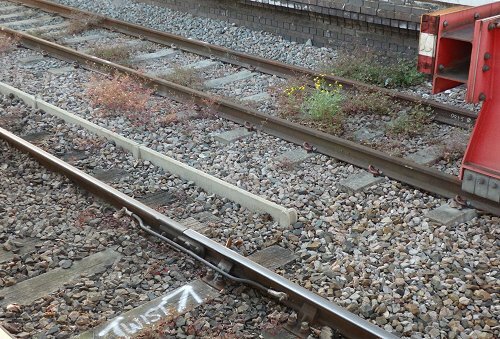 Why not just build up the ballast for the track in platform 1 and have them at the same level, surely easier than sinking a fence. It's a mystery to me, but I suspect not to everyone. Please explain in the comments. While we are talking about boxes this week, here's another new one for my collection. It's a sturdy wooden container for my Ragleth from Loco Boxes. 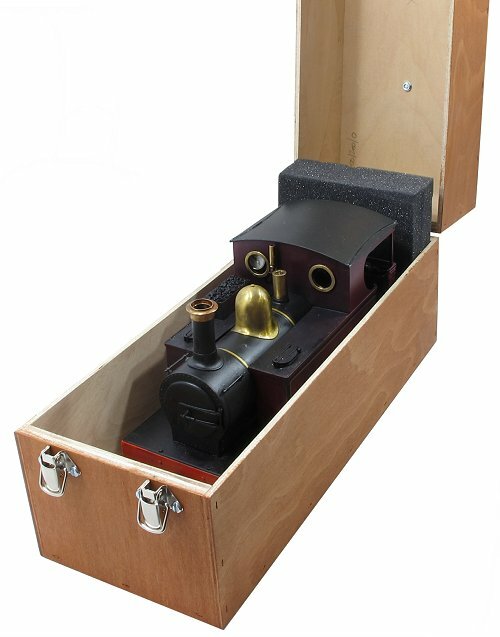 Handmade from good quality plywood and nicely varnished to protect it from the various leaking fluids that find their way out of live steam models, it's a good, solid box with strong latches to keep the model inside and a carrying handle on top to make moving the model easy. Price (yes, I did pay for this one) is £36. Not cheap, but worth it considering the value of the contents and if you don't have a gear to cut this wood as neatly, or the time to finish it this well, worth every penny. Nice people to deal with too - I spent a weekend on a stand next to them at TINGS a couple of years ago and we had a great time. Assembled and ready to play. Tim himself gave me this at DEMU a few weeks ago, the normal price is a bargain £40. I don't have a project lined up for it. He didn't want me to do anything specific. So far I've slotted the parts together without glue, just masking tape and Blu-tack to keep things together for the photo. But it's got me thinking. Let's face it, I have form at making model railway layouts in small boxes and this one has my creative juices flowing. There's no rush, this isn't (for the moment) a magazine project. It's a blank canvas. 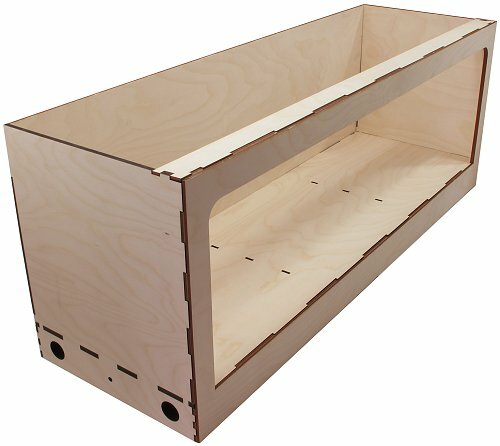 Visit Tim Horn baseboards for this and many other useful laser-cut goodies. I'd never been to Wicksteed Park before, but a free Saturday and the promise of a model boat show saw me take a trip. Arriving at the east to find venue (follow the signs, not the satnav) followed by a gentle stroll to the purpose-built model boating lake saw my Dad and I enjoying a procession of floating models. 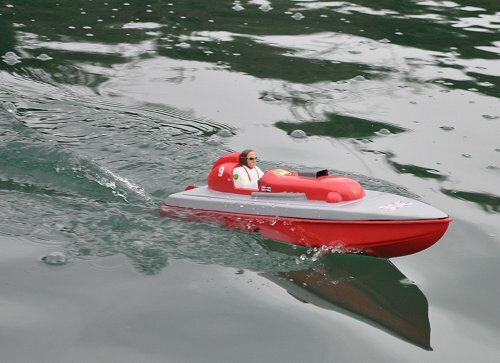 Mayhem is the largest on-line forum for boat modellers, sort of RMweb for sailors. The "show" is a relaxed affair with several clubs putting up gazebos and then sitting, chatting and sailing. The pond is larger than our local water and benefits from a path all the way around the edge just above the water. And that's basically it. We say and watched the boats and full size IC-powered train. Pretty good day out. We'll be back next year, but with something to sail. We all played with model cars as children, and if you were a youngster in 1965, this is how your toys were made.The use of a wooden master 5 times full size followed by a pantograph milling machine to make the final mould fascinates me. I'd love to have a go with one! Pathe obviously enjoyed their trip to the Matchbox factory as they had made almost the same film 3 years earlier. This blog generates some interesting opportunities sometimes. 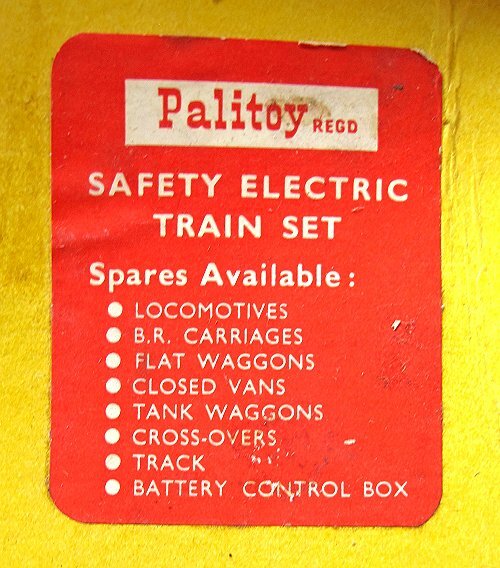 One such occurred when I posted about buying a couple of coaches from Palitoy's first train set - a 1951 effort in S gauge. A few weeks ago, I was approached via e-mail and asked if I'd like to own a more complete set. Of course I agreed, we settled on a price (luckily this stuff isn't valuable) and a few days later, the box arrived. My set is complete apart from the controller, but it's good enough for me. The highlight is the loco - a GWR 61xx tank. Compared to modern models, it isn't super detailed. What it is is bigger than you might expect. 20 1/2 cm long over the buffers to be precise. While not as big as 7mm scale, it feels appreciably bigger than a OO model would. Inside, the large motor drives the rear wheels. Being made of Mazak, the pickup, through a split chassis, is pretty poor. 12V taken to the motor terminals sees things moving and pretty smoothly for a model that won't have seen action for years. Doing such a good job with the loco makes me wonder why the coaches are so poor. Far too short and with half the expected number of wheels, you have to wonder if Palitoy would have been better starting with a goods train. Perhaps this wasn't deemed exciting enough. Let's face it, the box art hardly represents the contents of the set! The track is pretty basic. 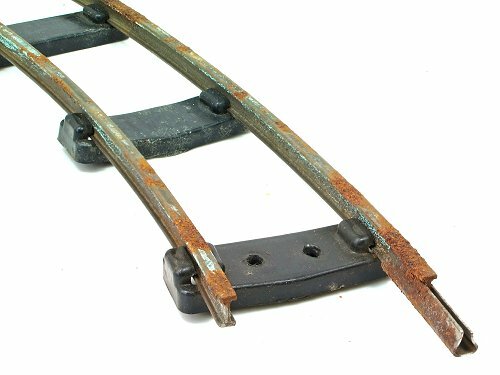 Steel rails at least have an I profile. but there's a real lack of sleepers - the section you can see has had all but 1 shoved along a bit - there are 4 per curve. The gauge is 26mm although the slight distortion of the plastic sleepers probably isn't helping this. An oval is provided by no pointwork. I wonder what would have happened if Palitoy had persevered with this scale? 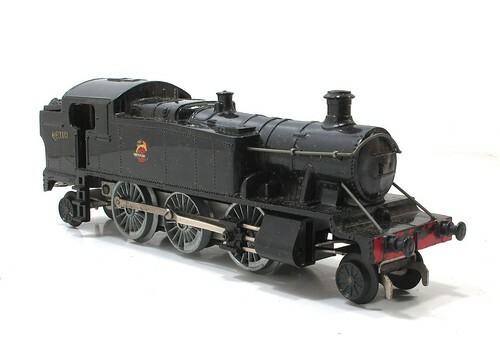 I quite like it, and S gauge is popular in the USA so this wasn't out of the question. Looking at the label in the box, there was an intention to provide a full system. I don't know, but suspect, that sales didn't justify this. Except. A little web searching throws up this set in an auction. Complete with a really crude A3 tender loco and the same false bogie coaches. The track appears to be the same too. If you'd prefer the coaches in green, they can do this too. Or Blue, with a red loco. Fred Van Der Lubbe describes the A3 set on P50 of his very comprehensive book on model LNER Pacifics and NYC Husdons (PDF). So, an interesting addition to the collection. Information seems a little scarce, perhaps there isn't much more to say? Why produce a toylike A and then a pretty good 61xx though? And were plans for the rest of the range anything more than words on a sticker? 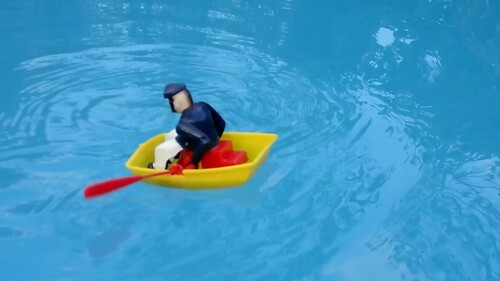 At the weekend, I was sailing my model boats and realised there were a couple of jobs I should have done before I came out. First, the hinge thing in the aerial had been getting loser for some time and now the stubby end hung on the wire, a situation that wasn't going to last long as the wire would break. And you can't buy Planet transmitters easily these days. Drilling through the whole assembly and inserting a 2.5mm diameter plastic rod fixed this. OK, the antenna no longer hinges, but I never needed it to anyway. For some reason, not all the boats steer in the same way. 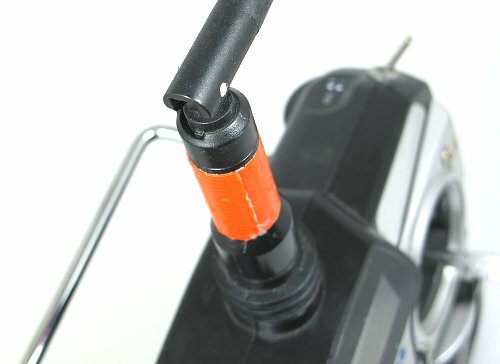 Fixing this while sailing is simple - flip the switch under a plastic cover, switch the transmitter off, switch it back on again and the directions will be reversed. Switch flipping isn't easy though as I never have a small screwdriver to lever it over. Invariably, the only aid in my pocket is a house key, and these don't quite dig in deep enough to do the job. Now, I've drilled the first 2 channel switches (the only ones I use for boating) and fitted these with short lengths of wire. I can move these with my fingers so hopefully, I'll not have to sail with the steering reversed again. Another excellent building from of Nick Wallace, this time from Manchester. 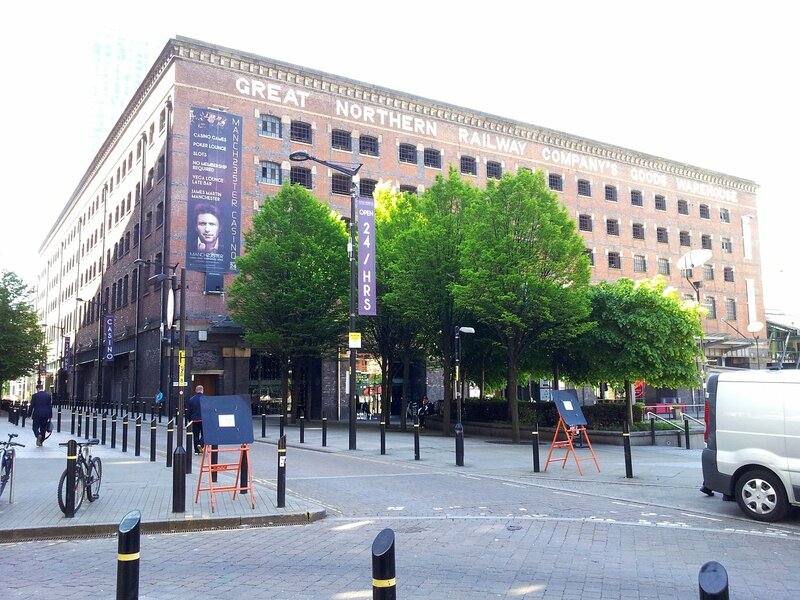 The Great Northern Railway Goods Shed is adjacent to the erstwhile Central Station (now a car park). It is as solid as it looks and now has bars, clubs, a casino on the ground floor and storage above. It can be found on Deansgate. The warehouse was built to be fireproof with a steel frame on a rectangular plan, 267 feet long by 217 feet wide and five storeys high, with 27 windows on the east and west sides and 17 windows on the north and south ends. 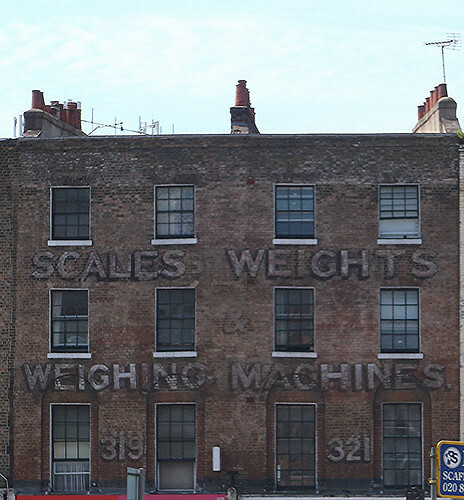 All four sides have friezes lettered in white brick reading "Great Northern Railway Company's Goods Warehouse". It was built above the Manchester and Salford Junction Canal, and a dock beneath was constructed to allow goods to be transferred to and from canal barges via shafts and a complex system of haulage using hydraulic power. The building could hold a total of 150 goods wagons across two of its levels, with capacity for a further 500 in its sidings. Its construction effectively wiped out the district of Alport Town, which had included 300 houses, and "Over 800 men were employed on the site. 25 million bricks, 50,000 tons of concrete, 12,000 tons of mild steel and 65 miles of rivets were used in its construction". I was given a cable at the weekend. The plug on the end is my favourite type of ancient and chunky connector. Gerrard, who gave it to me, has promised (threatened?) that he has several more to send my way. While I've no immediate need, they are pretty rare now as the world goes subminiature, so I'll snap them up for future projects. The cable intrigued me though. It's very neatly made and wrapped with neatly tied string. The loops are pretty consistently 2cm apart. Modern wiring whizzes would use a spiral plastic wrap, but I guess that the cable pre-dates this. So, my question is, is this a standard technique that I'm not aware of? 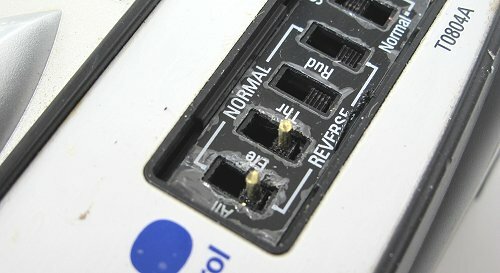 Did electronics school teach it, or did the person making the lead devise it themselves? Finding myself with some Bachmann G scale figures to photograph for Garden Rail presented me with an interesting problem. A few of the little people are seated, so needed to be propped up for their picture. I didn't have a suitable seat, and didn't want to give the impression this would be included in the pack. I needed something anonymous. Step forward some sanding pads bought for China via eBay for about 3 quid for 10. I think they are aimed at the nail bar industry, but as it happens, they are just the right height for seating. Being rough and white makes them obviously not part of the model but a bit like the white walls of an art gallery, something to show off the exhibits. 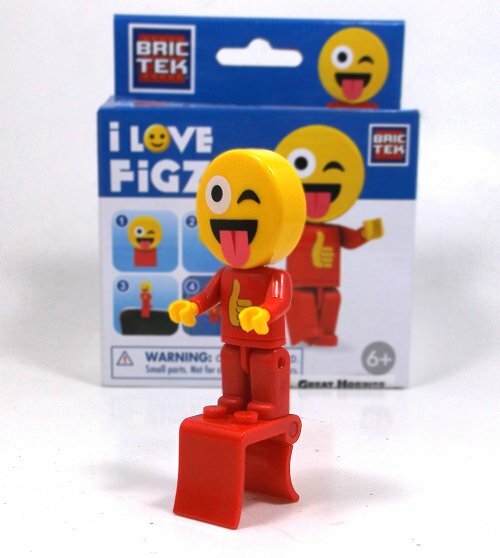 How do you encourage youngsters into a hobby? The answer, according to the slot car world, appears to be to let them have a go at it. 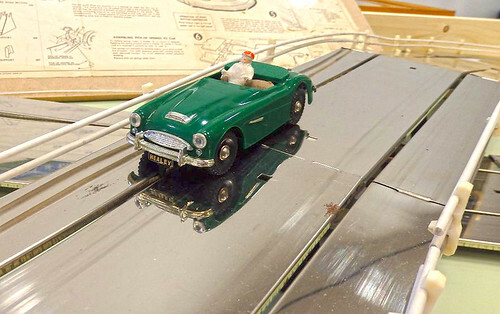 Held at the motor museum, Gaydon, the UK slot car show boasted at least ten different tracks anyone could (under supervision) try out for themselves. And there were children of all ages aplenty doing just that. 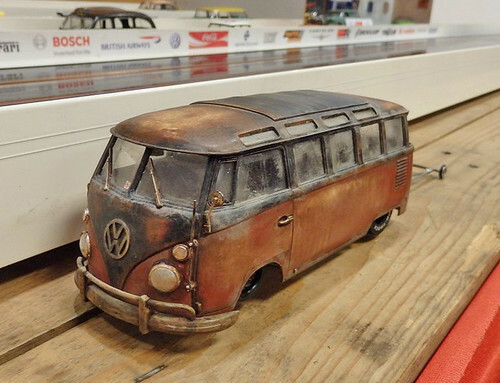 Being above all that sort of thing myself, I only drove a drag racing VW bus at a real 35mph, over 1000mph when scaled up! And tried my hand at the Matchbox race'n'chase set I hankered after as a child. Just like last year, I still couldn't make the cars spin and head off in the opposite direction like the kids in ther advert. Oh, and there was some Wren 152, but if I'm honest, that's not very exciting as the cars seem to corner at full speed. I really liked the Welsh rally stage model. 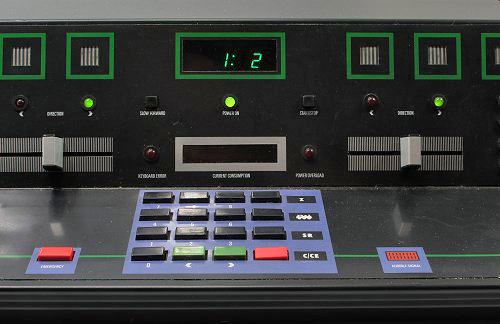 Only one track, so you raced the clock, but a lovely model to look at and very difficult from what I saw. 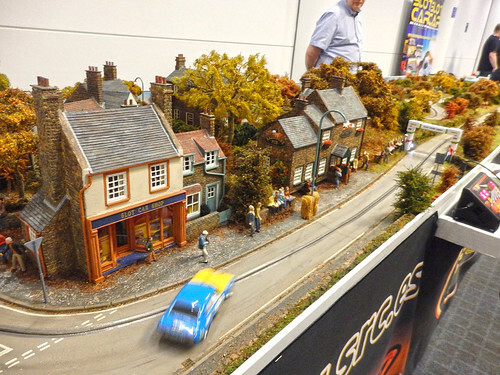 Conventional wisdom on forums is that Scalextric is the problem child in the Hornby empire, but judging from the enthusiasm shown at this even, including on their stand, it has a bright future. For a start, the entry level is low. £25 buys you a 1/32nd car, although obviously if your pockets are deeper then you can pay more for some really superb and interesting models. It's exciting too and so stands a chance of rivalling the thrills offered by computer games. What is needed is a club network so miniature racers can compete against each other. There are clubs, but mainly in the south of England, home to a serious number to slot car swap meets too. Anyway, I enjoyed myself and certainly plan to go again. While not the competitive type, I could see myself enjoying building a car and racing it. The joys a shelf full of cars as a collection can't be argued against either. I'm not usually a fan of people ranting on-line, but this is an exception. For a start, it's very well done and then it's also a subject I feel passionately about, the loss of model shops. Weirdly, there are (at the time of writing) 97 people down voting this video. That's 97 people who presumably think model shops going to the wall is a good thing. I've seen this on forums before, those who are pleased to see shops close because they think they can buy everything direct from China. Of course, they haven't needed to buy paint or glue because they don't actually do any modelling, or comprehend that if all the shops and factories close, their kids are going to find job-hunting somewhat difficult. And now I'm ranting. Just watch the video. In the darker recessed of eBay, I recently found a Scalecraft kit dating from a time before postcodes judging from the return slip in the box. 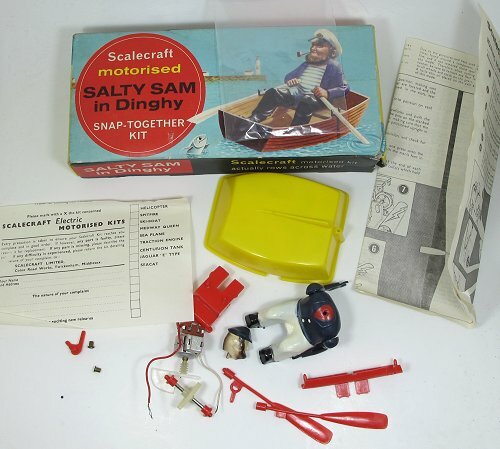 Scalecraft produced a range of snap-together motorised models designed for kids rather than "serious" enthusiasts, but with undeniable charm. My collection includes and E-Type Jag and Traction Engine. Anyway, a kit turned up and I bagged it for not too much cash. A few days later it arrived in the post. Like all Scalecraft models, the plastic is too soft to "snap" together. It's a sort of polythene rather than styrene at a guess. Perfectly sound though and after a few minutes work, Sam was assembled. Wiring up was tricky as I lost one of the top-hat style connectors, but I fashioned a replacement from a bit of brass tube. Power is from an AA battery stored under our sailors legs. Fact fans will want to know that the model is 10cm long and just under 8cm wide. Everyone else will want to know if it works. 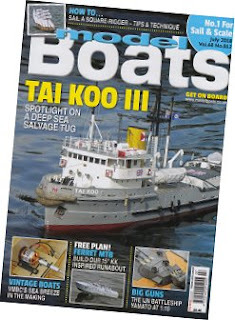 July's issue of Model Boats magazine sees my vintage speedboat Miss-chief appear on pages 66-68. Since the kit isn't available, I've turned the piece into a description of the trails and tribulations developing the model including the pretty significant alterations I made to the kit. Those who know me, know I am always happy to admit my mistakes. We all get things wrong and it's daft to pretend otherwise. Worse, it puts off beginners who start to believe that everyone in a magazine is some kind of modelling genius that they can't hope to emulate. 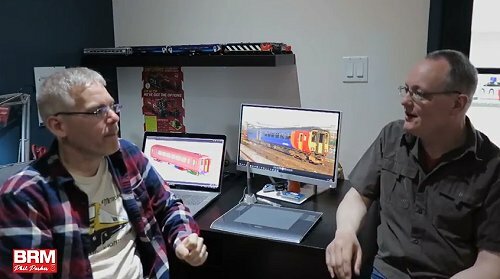 In the spirit of honesty, I'll now admit that a couple of weeks ago, I met kit designer George Turner and he explained how the model should be built. Apparently, the idea is to bolt a Graupner racing rudder unit on the back of the boat. That never occurred to me at the time, but seems so obvious now! I'll confess that one bit of Canada I didn't take to, was Niagara on the lake. We stopped off there on the way back from our trip to the fall as part of the coach tour. According to the driver, lots of people wish they had more than the allotted hour there. Me, I was back on the bus in 45 minutes. Maybe living close to the Cotswolds and Stratford-on-Avon, I have a greater resistance to horribly twee towns than most. Everything is brightly painted, over-restored and very "Canada by Disney". 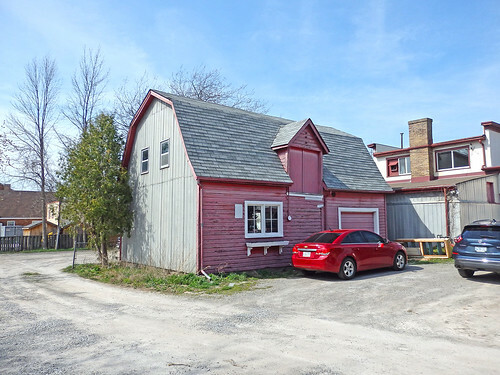 Anyway, wandering around behind the main street, I found this very typical wooden barn - the sort you've seen in a thousand Westerns (OK, this is Canada, but the architecture is similar). The gambrel roof allows greater usable space in the loft - ideal for a model railway if people on this continent didn't tend to have cellars which are even better. This example has been converted to a garage it appears, although the car lives outside! However, lose the new door and I reckon it would make a good prototype for an American layout. Internal combustion locomotives sporting a steam engine shaped body aren't a widely written about the subject. There's always been something "wrong" about them which has caused enthusiasts to shun these locomotives. For many pleasure railways though, they are an essential part of the fleet. While the public love to see and ride behind a steam loco, operating one is more difficult and costly and a diesel or petrol powered machine. On a rainy day when the crowds will be limited, do you really want to spend hours preparing and disposing of your real steamer? Indeed, does your line even have anyone skilled enough to do this? 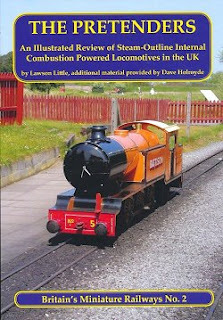 The text is a little dry, but includes a wealth of information to help enthusiasts track down examples of each loco. Well illustrated with colour photos throughout, it's incredibly informative. My interest was piqued by the arrival of "Maltby", a Baguley loco seen in the closing credits of BBC TV series Hi-De-Hi, at the Groudle Glen Railway. Easily one of the less convincing designs thanks to the jackshaft drive, it's still an important loco and being Groudle resident, one I want to know more about. Far from being a footnote in railway history, these locos have a heritage all of their own and really deserve more interest from enthusiasts. Hopefully, this excellent book will make them more appealing in their own right. 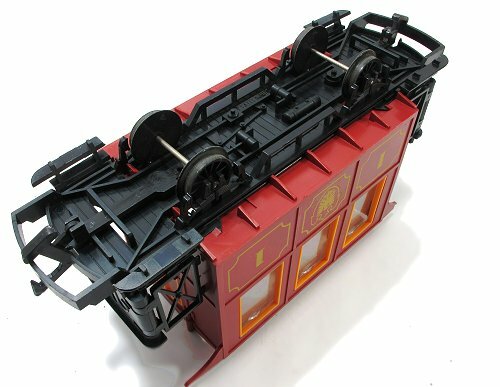 The world of Ready-to-Run models keeps nibbling away at my kit built loco collection. Hitting the streets recently, according to the advertising arriving in my in-box, is the Hejan class 07. I've seen pre-production models and they really do look nice. Not this time. My collection of 07s is shown above. On the left, a Craftsman etched brass kit powered by a Porterscap motor. This was a replacement for my first serious etched kit version stollen in 1997. The insurance covered the cost of building (sort of) as well as parts so I put the super-expensive motor in it, because I could. 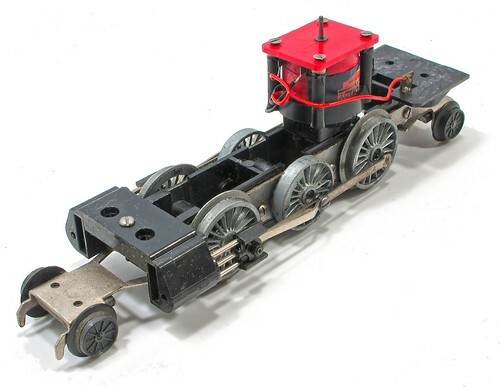 On the right, a Silver Fox resin body on a Bachmann 03 chassis with the bit of the rod connecting to the jackshaft drive removed. A quick and easy built, I did it a few years ago for a bookazine project. I'd guess that the RTR model has removed the need for either of these - even if you could get hold of the kits. A bit of a shame, but that's progress I suppose. G-Rail has moved. Last year we were at Stafford showground, this year the Harvey Haddon centre in Nottingham. The venue offered many advantages, not least a working mobile phone signal that was appreciated by the trade. Parking wasn't an issue, even though the leisure centre was open as normal. Inside, the hall was spacious and not nearly as agricultural as before. Even the cafe offered a decent range of food. The show was, as usual, made up of a selection of working exhibition layouts and trade. Since I was working, my first few hours were taken up chatting about the magazine, so I missed out on plenty of bargains, and there were many to be had, but even by the end of the day, I managed to snap up a rolling road for a fiver! Layout-wise, the eye-catcher for me had to be Chris Warby's Inglaterra. Set in a Cuban engine shed, the weathering and sense of dereliction was fantastic. 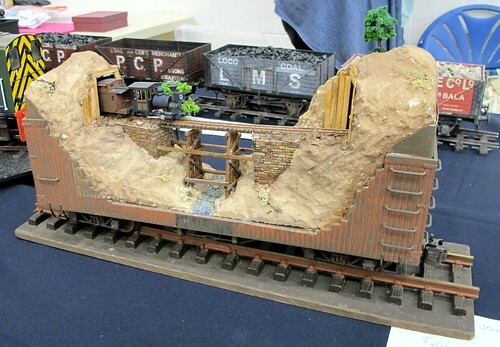 I've not seen G gauge locos abused so thoroughly, or effectively before. Another highlight of the show is always the modelling competition. G scale doesn't seem to attract "modellers" in quite the same way as 16mm does, but those that are working on 45mm gauge, turn out the most amazing result. 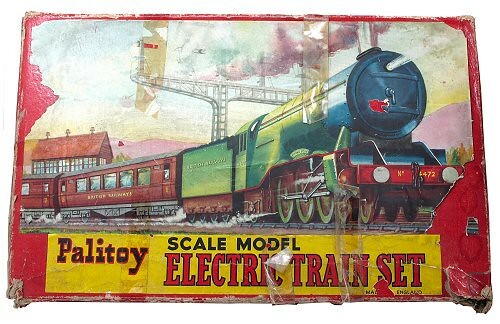 Larger scale modelling is encompassing much more than LGB in the flowerbed nowadays and it's great to see that there really is something for everyone, from bargain sets (£175 upwards) to truly astounding quality live steam. More photos over on Flickr. Quite a lot of last weekend was spent doing model bus things with Jason from Rapido Trains. More of this in a couple of weeks, but I couldn't resist bringing you a rare unboxing - the manufacturer opening up the latest sample of his model. Warning: There is squealing. The model is really impressive. 3D scanning followed by careful CAD design has resulted in 1:76 miniature capturing the complex lines of the prototype perfectly.There's still work to do, but hopefully this model will be delivered in January 2019 for those who have ordered one. 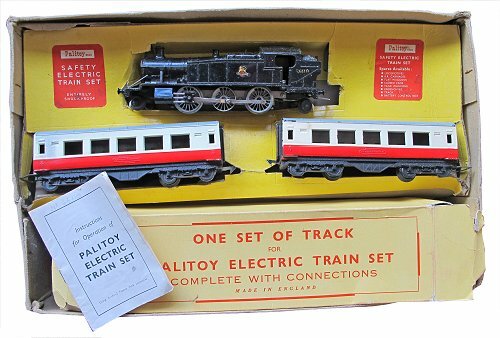 Always on the lookout for interesting rolling stock for garden railways, I was reminded a couple of months ago about the Faller E-Train. 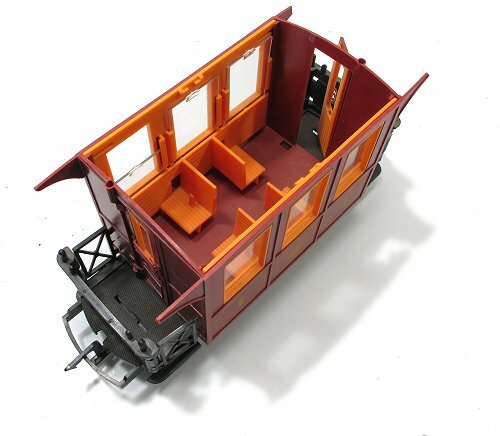 Produced in the 1980s for use with Playmobil-like figures, the stock runs on 32mm gauge track but is narrow gauge and pretty close to 16mm scale. I've been keeping an eye on eBay with a plan to add some to my collection of 16mm stock and eventually a coach appeared at a price I was willing to pay - £15 including postage. E-Train stock is becoming rare as its either been thrown away or hoarded by garden railway fans. The locos attract scary prices for what is basically a toy. Despite its origins though, the stock has potential. I highlighted a video a while ago from a line operated with it. Play value is assured by the removable roof and opening windows, doors and gates. It's a four-wheel mini dolls house! The design is suitably whimsical. I like it and think there's a lot of LGB coach influence going on. Underneath, the wheels are solid with fake spokes and brake gear doesn't line up, but the main failing is the undernourished W-irons. While the kids wouldn't notice, I feel that some whitemetal replacements fixed to the faces would improve matters as well as providing a bit of weight. Long term, I wonder about a re-paint. The Germanic livery is very nice but I'm no fan of self-coloured plastic and it would help the model fit in with the rest of my stock. Those tension lock couplings will need replacement too, but only by simple centre buffer versions. I'm imaging a 3-coach train behind a small tank engine. 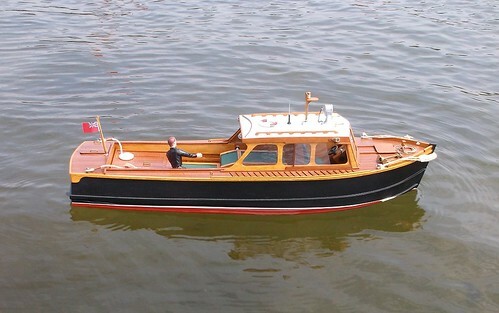 Something suitably British and probably scratchbuilt would work. I better see if I can find some more!